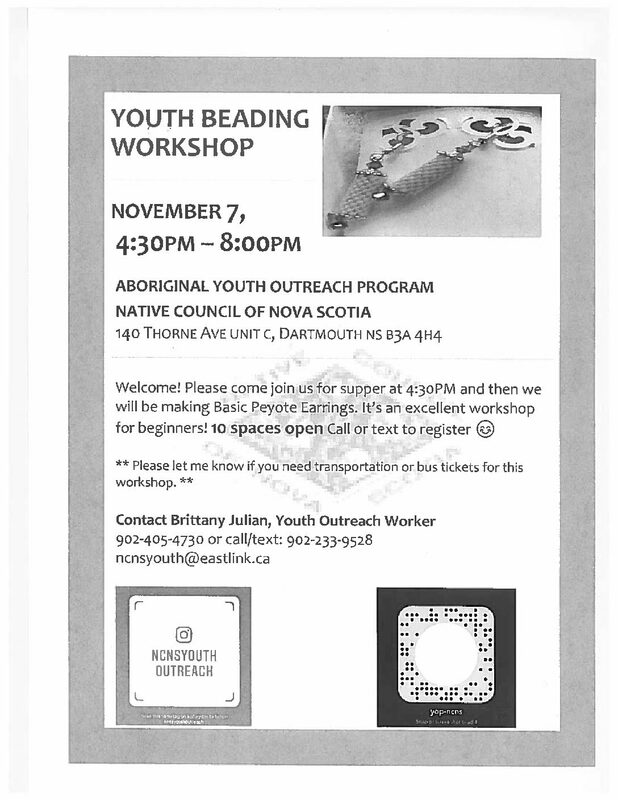 Please join the Aboriginal Youth Outreach Program and the Native Council of Nova Scotia for a youth beading workshop. The workshop is being held November 7 from 4:30 PM – 8:00 PM at 140 Thorne Ave. Unit C, Dartmouth. At the workshop you will learn to make Basic Peyote Earrings. There are only 10 spaces open- Call or text Brittany to register.